More than 200 years old, the 36 Lenormand cards are an oracle combining standard playing cards with images from the everyday world, such as key, book, animals, and flowers. Their simple, predictive, and non-esoteric nature opens the realm of fortune-telling to all, offering a traditional cartomantic divination where card combinations fuse together to give clear answers. In this complete guide to Lenormand card reading, Caitlín Matthews explains the multiple meanings for each card, providing keywords so the reader can quickly build an interpretive vocabulary for Lenormand fortune-telling. She details how to lay spreads, starting with 3 or 5 cards and building to the Grand Tableau spread, which uses all 36 cards. She explores the significance of the playing card pips and suits on each card and how cards combine to create a variety of meanings. 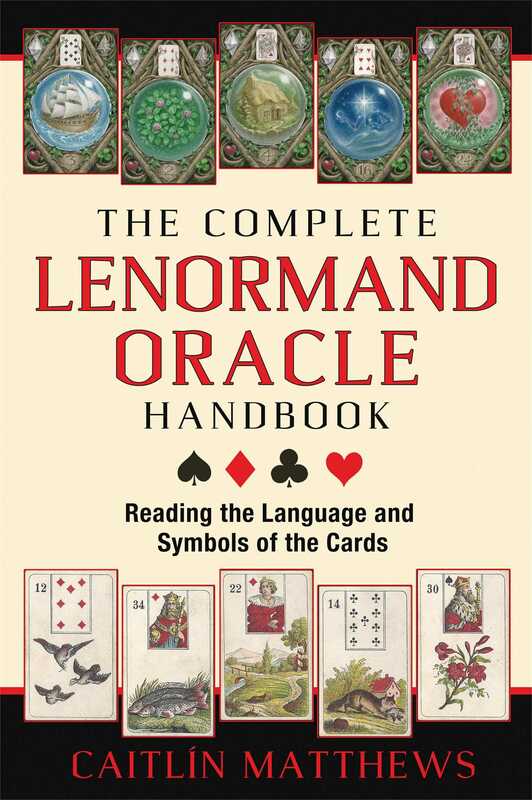 Matthews enables readers to learn the Lenormand card keywords so they can both read for themselves and express their interpretations to clients. Providing real case histories for readers to interpret, she also includes self-tests and practice exercises with answers to check at the end of the book. In addition to her comprehensive practical introduction to the Lenormand oracle, Matthews delves deeply into the history of cartomancy to reveal the mythic blueprint that underlies this simple deck, the key to which lies not in their imagery but in their connection to playing cards. Caitlín Matthews is internationally renowned for her research into the Celtic and ancestral traditions. She is the author of 36 books, including The Celtic Tradition, The Encyclopedia of Celtic Wisdom, and Sophia: Goddess of Wisdom. She is co-founder of the Foundation for Inspirational and Oracular Studies, which is dedicated to oral, shamanic, and sacred arts. Caitlin Matthews has a shamanic practice in Oxford, England, and teaches worldwide.